We lost a true, and original, Super Fan this week. Dave died on the 15th after a several year battle with Parkinson’s. He was 76. 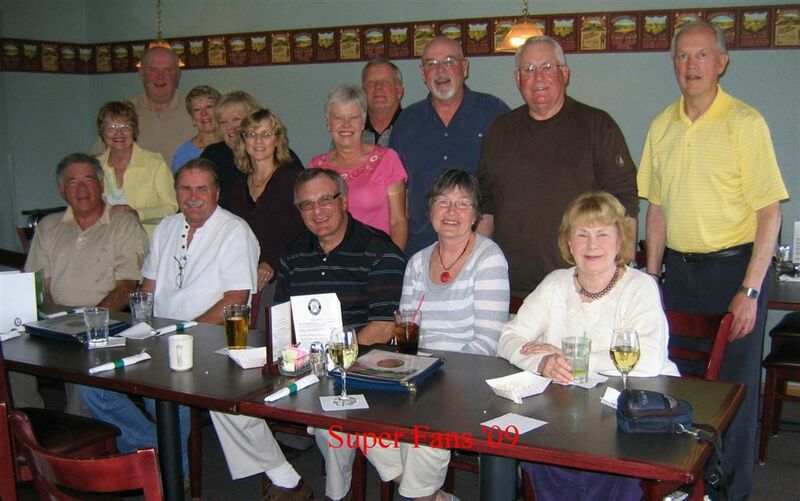 He continued to golf in the Tuesday and Thursday senior men’s golf leagues for as long as he could through last year. He was The Hoymster, a/k/a, The Brooten Flash. This photo is from three years ago – apparently a photograph was necessary because of the size of the fleecing they had inflicted upon their fellow competitors! 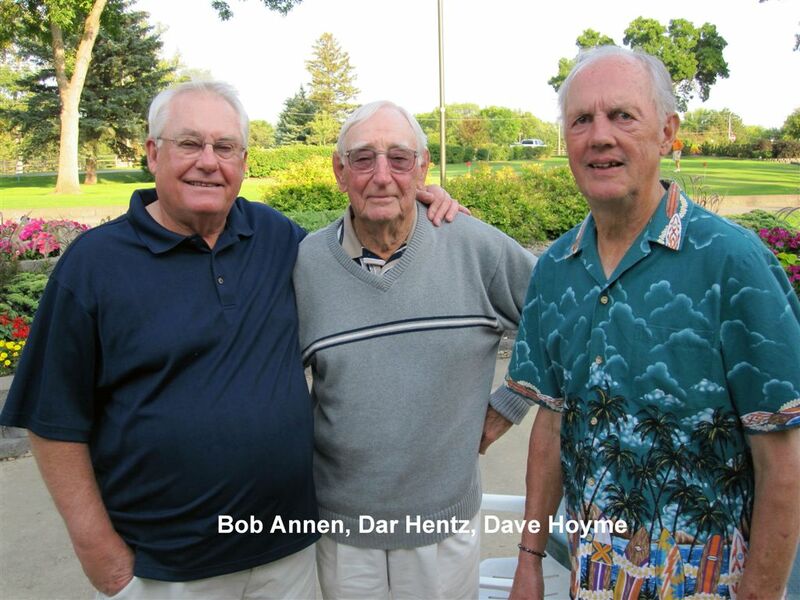 Dave was not only a golfer, he was also a reverend and in that capacity served in the military as a colonel chaplain. He served in the first gulf war in 1991. It was probably because of his military background that he was a jogger – an affliction I will never understand. He jogged so many miles in his lifetime he was a member of that national or international organization that recognizes those who run a gazzilion miles. Later he challenged himself by joining our Fat Boys Walking Club at the mall, though he never fit our profile. 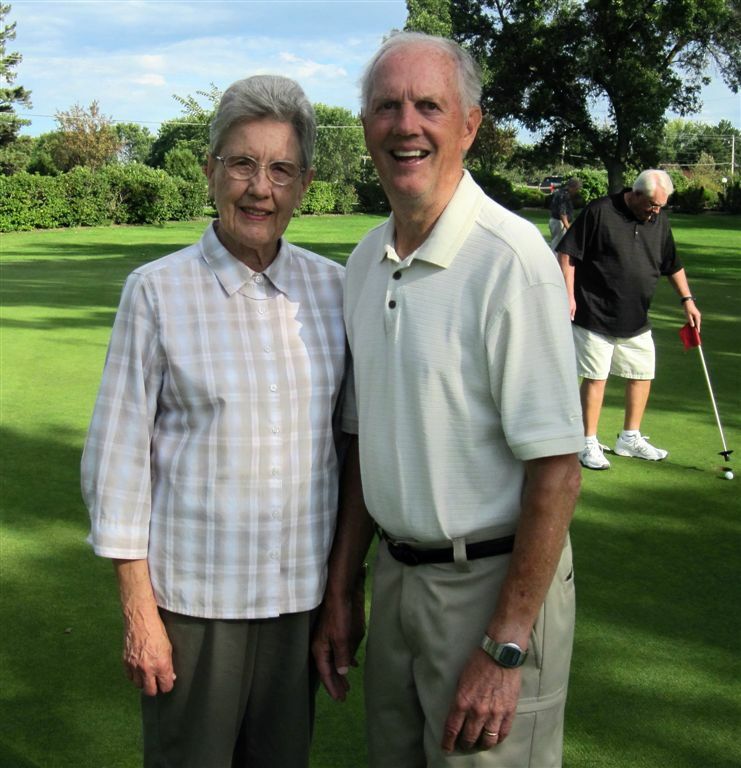 And this is Jeanne and Dave at the Tuesday League’s Steak Fry and Putting Contest, August 2010. We’ll miss him. p.s. 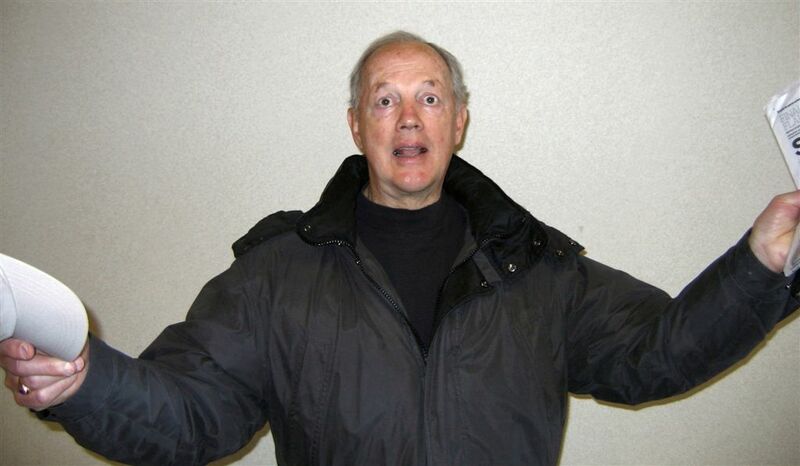 I belatedly found one more picture of Dave. 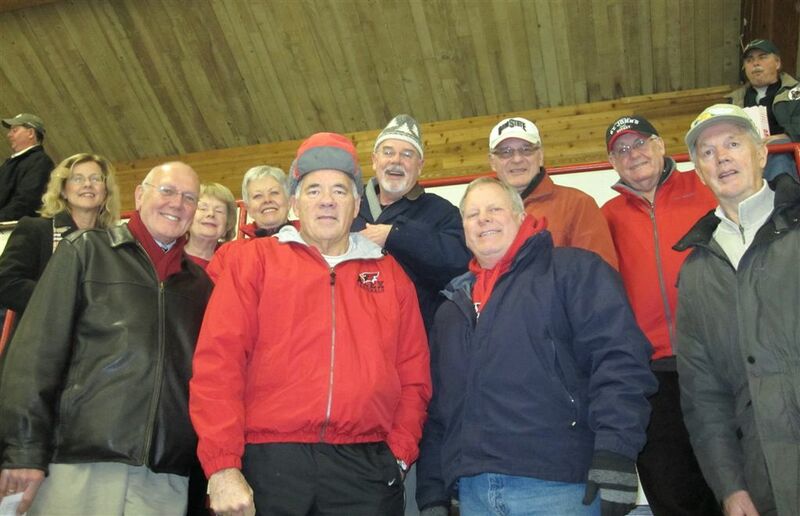 With the Super Fans at a girls’ hockey game, December 6, 2010. About a month or so ago, Cliff and I were going down to the lake for our evening pontoon ‘stroll’ when Dave and Jeanne came down as well. You could see the longing in his eyes for being on the water, so we asked them if they’d like to go out with us. We didn’t have to ask twice! They both enjoyed the ride, giving him a little bit of what had been taken from him over the years. Little did we know that would be the last ride on the water for him. Our ‘new’ neighbor is gone. Our sincerest condolences to Jeanne, Jon and his family, and Chris and his new wife. 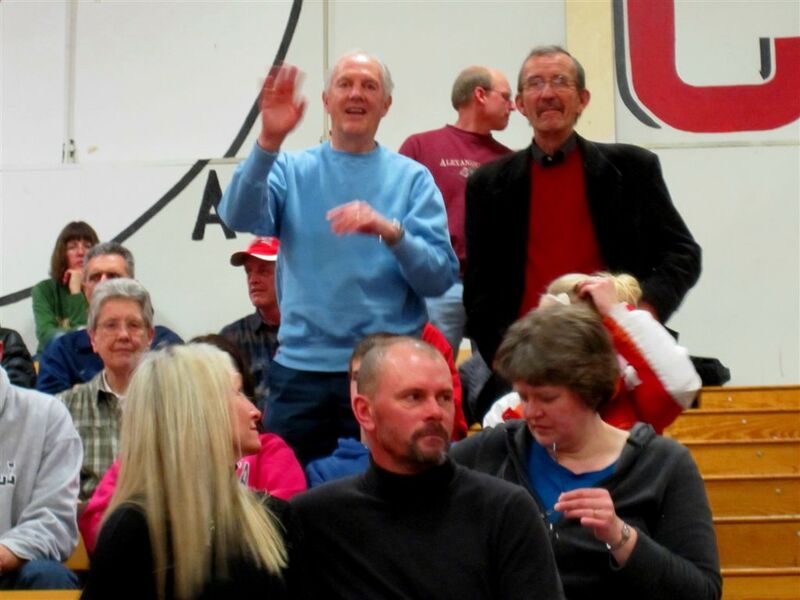 Jon became one of my closest friends in 1980 when their family moved to Platteville, WI. Reverend Hoyme married my wife, Jana and I in 1997 and Jon was in my wedding. He will be greatly missed; a great man; great father; great legacy!